The foresight is seen in the way the NuvoSport has been designed. There are certain roles which demand a special look. You've seen Amitabh in guise in Paa, Brad Pitt's in The Curious Case of Benjamin Button, Robert Downey Jr. in Tropic Thunder and even Randeep Hooda in Sarabjit. Under all that make-up, you can still identify the actors; but it's the role that demands this transformation. It's not only in the world of movies that you get to see this; the automotive world has its share of transformations too, the latest coming from the Mahindra stable. It's got a new face, a new look and a new name; but you can still identify which car it is, under all that cosmetic conversion. It's called the NuvoSport and the name took us by surprise as well. Knowing Mahindra, it should have ended with an 'O'; then again, it looks like the company has defied tradition, probably to change perspective. The name is self-explanatory; Nuvo is new and the Sport is to bring out its outgoing aspect. 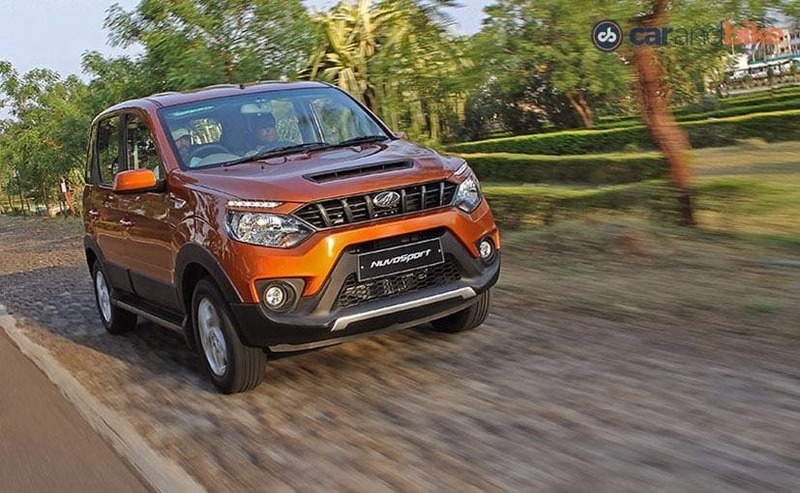 Mahindra has specified that the NuvoSport is for those who want a bit of adventure and the look has been changed keeping that part in mind. Yet you can't help but see through the cosmetic changes and deduce that this indeed is the Quanto. 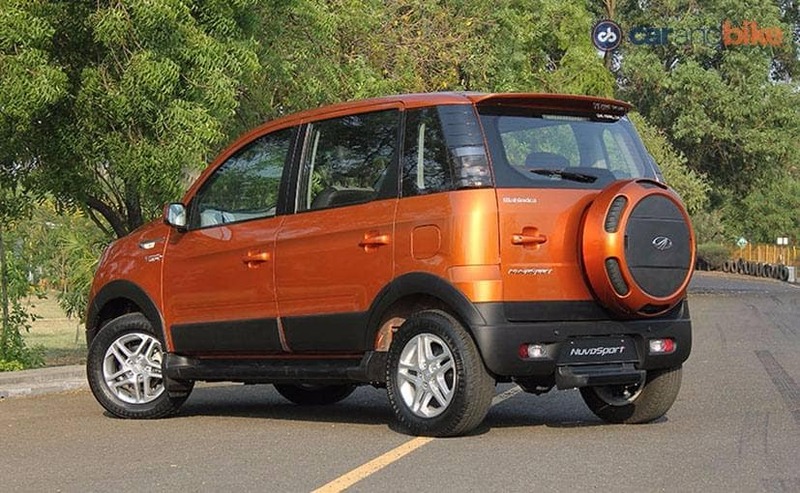 Now, the Quanto, when it was first launched, turned quite a few heads because it was the first sub-compact SUV to come equipped with 7 seats. Ideal, wasn't it? But there was a thin line between calling it an SUV or an MPV and that's where the company had lost the plot. Not anymore, now Mahindra seems to have put all its critics to rest with the NuvoSport and yes, it is an SUV! To begin with the NuvoSport is based on the same platform as the third generation Scorpio and is made up of stronger composite materials. In fact, we were told that the NuvoSport is safer because of the newly integrated crumple zones and improvements to the structure. The NuvoSport has been crash tested in Europe already and adheres to the safety norms, which will come into effect in India by 2017. So, yes, there's a lot of work that has gone into the car and that includes foresight. The foresight is seen in the way the NuvoSport has been designed. Mahindra has made it youth centric and this is the second car tagged with that phrase - the first being the KUV100. Well, it's all muscle up front; right from the bulges on the bonnet, to the flared wheel arches and the intake on the hood (which is functional). The front grille takes inspiration from the Scorpio and the plastic cladding on the sides add a bit of ruggedness and that's specifically to bring out its SUV DNA. We've seen the company adopt a different strategy when it comes to designing their new generation vehicles and it's all about adding muscle, which has worked for them with the Scorpio, XUV500 and even the TUV300, which is why you see a significant change in the looks when it comes to the NuvoSport. The Mahindra NuvoSport can now be booked on the carandbike website. Click here to book yours today! But there are some touches, which raise eyebrows; and no, I don't want you to go into the meaning behind that phrase. The Day Time Running LEDs are not integrated into the headlamps and find their way on top of it, which make them look like eyebrows and yes, they're overt. However, the DRLs are only available in the top-end variants, while the lower variants will come with LEDs - they'll not be DRLs that's all. The headlamps help in working with the design; however, they somehow reminded me of the ones on the EcoSport. I know, they're slimmer on the Ford, but if you look at the shape, you'll understand what I am talking about. The front may be new, but it's the side profile that harkens to the past and that's where the NuvoSport reminds you of the Quanto. The rear too is similar, but it now comes with a new wheel cover - one which is very similar to the TUV300. On the styling front then, Mahindra has worked hard to make it as refreshing as it can and it's tried to do the same with the cabin too. 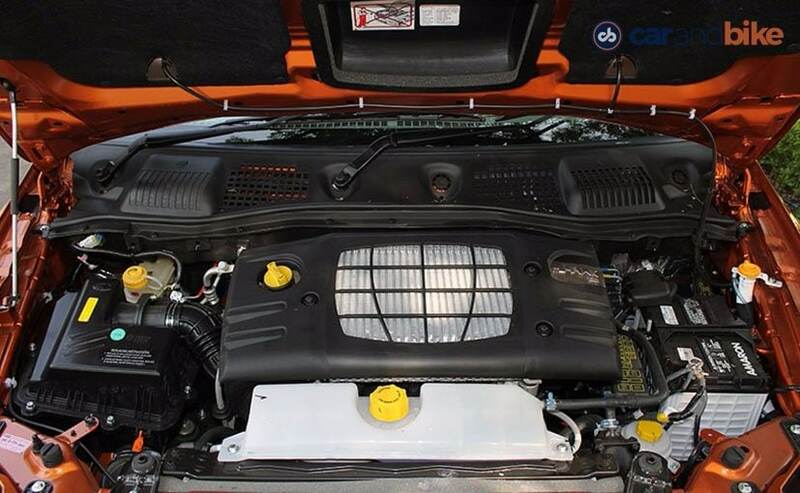 Inside, there's a lot of familiarity, as most of the design has been carried forward from the Quanto. The dash is the same, while there are seven seats on offer, as before. There are, however, a few changes that set this one apart from the Quanto. The dash now gets a grey and black tone, which is a move away from the beige one earlier and is much cleaner. What is a little unfamiliar is the finish on the grab handles, on all doors. It has been designed to look like its carbon fibre, but it isn't. It's new, yes, but does it work - not really. 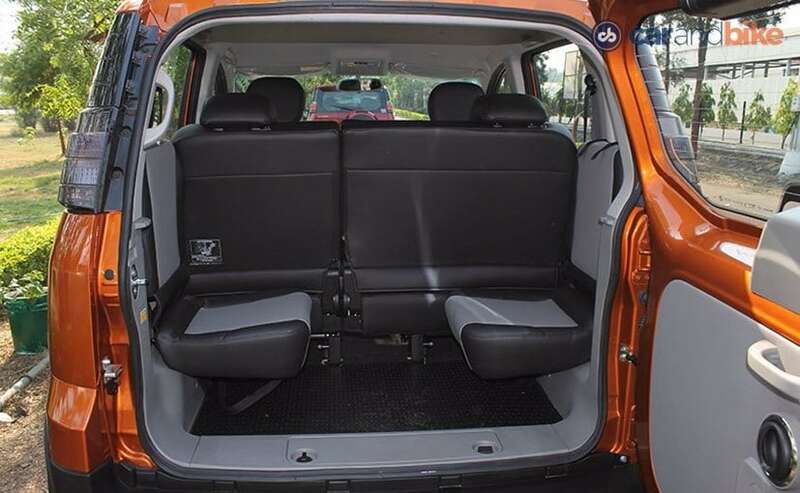 The space on the inside hasn't changed, the wheelbase is the same 2760mm and this gives you sufficient legroom and the flat bed gives the the person sitting in the middle relief from feeling cramped. The height has also been increased by around 10mm; though marginal, it translates into great head and shoulder room. Mahindra has also spruced up the pedals to give it a more sporty feel, but they clash with the overall design inside and don't really add to the appeal. The two jump seats at the rear can be used by children and though I tried to squeeze myself onto them, it gets a bit cramped and uncomfortable after a while. What's new is that the seats, in the second row, recline and this means that the passengers there have added comfort. 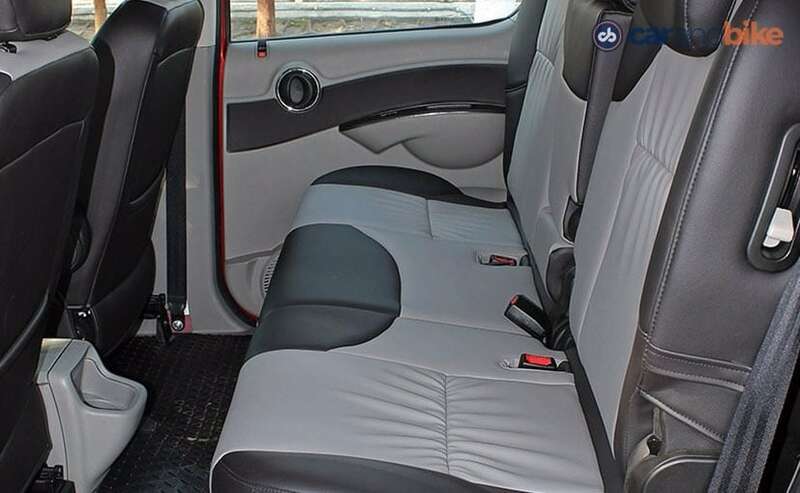 There are a whole bunch of cubby holes as well and there is a parcel tray under the driver's seat, which makes you wonder, why it's there and not under the passenger seat. Besides that, there are arm rests, on the front two seats and the second row. The reclining seats do affect the third row and no one can sit there if you're in a mood to relax.This will also open the flood gates to luggage space and there is 412-litres of it already. The second row seats now come with a 60:40 split, which was not seen in the Quanto; and yes, they can be folded down, to expand the space to 850-litres. These changes are a massive leap for Mahindra and it shows how the company is changing, with the changing times. The cabin looks a bit premium now, because of the new dials and the new steering wheel. It comes with features like steering mounted controls (which weren't available in the Quanto), a 6.2-inch Touchscreen system, Bluetooth, Aux-In, USB, a Kenwood Audio system with Navigation, radio and also a CD player. There are rear parking sensors as well as cruise control. One has to admit that all these features are more than those on the TUV300, but what it shares with its sibling is the engine. 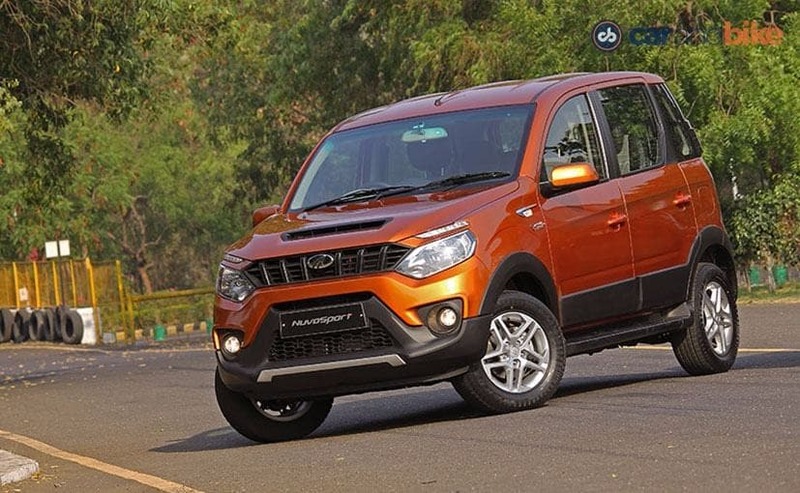 NuvoSport comes with an iteration of the same 1.5-litre mHawk80 engine and the folks at Mahindra call this one mHawk100 and it's easy to see why. 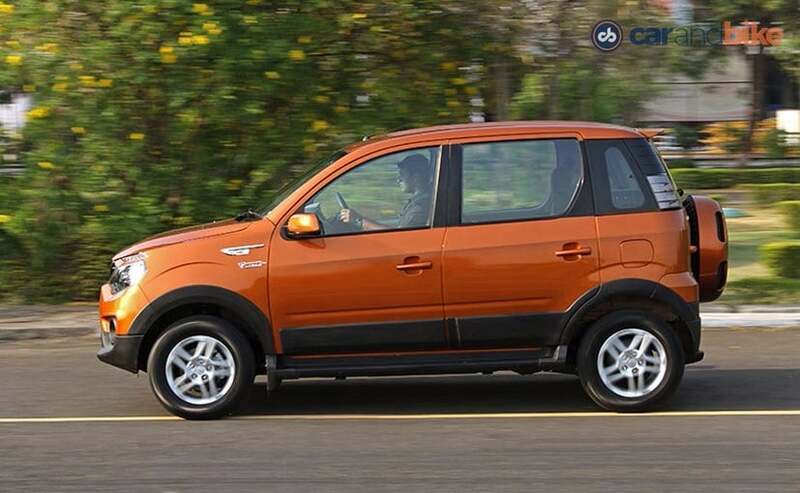 The diesel engine churns out 100bhp, which is more than the TUV300, but the same as the Quanto. The seating position is a commanding one and you notice how SUV-like it is. Once behind the wheel, you have a clear view of the road. Turn the key and the diesel powertrain hums and once you rev up, the growl is evident. The engine is coupled to a 5-speed manual and yes, there's a 5-speed AMT on offer too. The 5-speed manual is quite a nice thing to drive; however, the gear throws are long, which might make it a bit tedious to drive, on long journeys. Power is available from as low as 1500 rpm, but anything below that and NuvoSport takes some time to catch up. Match the revs and the SUV is in the zone, but you don't miss the growl of the engine, when you downshift. It's pretty evident and though Mahindra insists that the NVH levels have been worked on, it doesn't really shut off the engine noise. The mHawk 100 comes with a two-stage turbocharger, which tries to kill the lag; but as I said earlier, if the needle slides below 1500rpm, the response time of the engine drops significantly. Mahindra also has a Power and Eco mode in the car, which can be used, as per your driving conditions; so I switched to that mode to see if there's a difference and there was and a significant one that too. In the Eco mode, the revs are restricted to 3500 rpm and the torque drops, as if it had suddenly discovered gravity. There is a vast difference in the way the car drives, in the Eco mode, as there is less power on offer as well. The engine sips, just the amount required and not any more. It's as if it goes on a crash diet, at the press of a button (wish Mahindra could develop one for humans as well). Mahindra claims a fuel efficiency figure of 17.45Km/l (ARAI certified); and this, according to the folks there, is not in the Eco mode. Mahindra also says that the NuvoSport can easily do 1000 kms on a full tank and that's quite a claim. 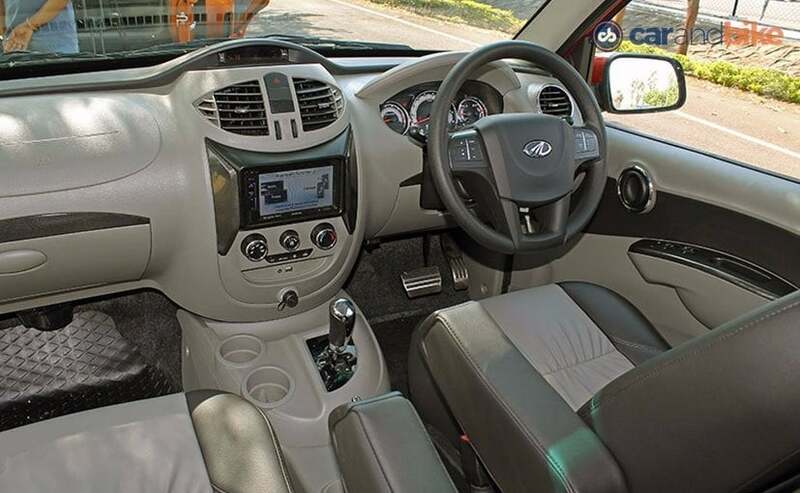 Mahindra has ensured that you have the option of an AMT, in NuvoSport, as well. We've seen the car at the 2014 Delhi Auto Expo and finally it's here. The unit used on NuvoSport is the same as the one on the TUV300 and is sourced from Ricardo. It is a mono-stable unit, which means, it's like a joystick, you push it into whichever mode you want - Neutral, Drive or Reverse - the gear lever will come back to its original position, unlike what we've seen from either Maruti Suzuki or even Tata Motors. The gear shifts might not be seamless and there is a probably a millisecond of delay in reaction time, but it provides you a decent driving experience. The engine revs to about 2500 rpm to change the gears. Mind you, it has to handle more power and torque in NuvoSport and it does it quite well. This is Mahindra's second sub-compact car to come with an AMT and the company sees a bright future, with this transmission, as the demand soars. The NuvoSport also scores well in the driving dynamics department. It doesn't feel too heavy to manoeuvre and when I drove it on a rumble strip, the NuvoSport just pranced over it. There was no drama, whatsoever, inside the cabin and that's thanks to the double wishbone and coil springs with an Anti-roll bar at the front. The tuning of the suspension is what makes it a breeze to drive and the NuvoSport will do well on pot hole ridden roads. On the safety front, we've already told you that the car meets the safety norms that'll be enforced in India in 2017, but what is also interesting is that the company will offer ABS, with EBD and Dual Airbags as an option from the base variant. NuvoSport is available in 6 variants - 3 main and 3 optional - N4, N4+, N6, N6 AMT, N8 and N8 AMT and 6 colour options - Molten Red, Rust Orange, Diamond White, Regal Blue, Mist Silver, and Fiery Black. The Orange and the Blue is what suit the car and I must admit that the Blue (which is the same as the one on the Scorpio) gets a big thumbs up. So, the Quanto is ready for its second coming and this time Mahindra has given it a lot of thought - it shows in the price as well. The NuvoSport starts at ₹ 7.35 lakh and tops out at ₹ 9.76 lakh (ex-showroom, Thane); the company has positioned it above the TUV300. With more features and an AMT, as NuvoSport's USP, the consumers are now spoilt for choice, in the sub-compact SUV segment. However, NuvoSport competes against the likes of the new Maruti Suzuki Vitara Brezza, Ford EcoSport and even its own sibling - TUV300 - in this space, but doesn't really stand out as a distinct front runner. What it does, though, is make it more competitive. Just like we accept actors, who take their roles seriously, by going through transformations, the NuvoSport has gone through something similar, which could make this effort worth its while!